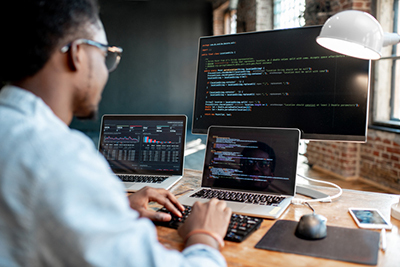 Technology-related employment in Michigan grew by more than 12,000 new jobs in 2018 and the tech sector increased its contribution to the state’s economy, according to Cyberstates 2019, a new report published by the Illinois-based technology industry association CompTIA. Net tech employment in the state grew by an estimated 12,354 jobs in 2018, a 3.1 percent increase over 2017, according to the report. Since 2010, net tech employment has grown by more than 109,300 new jobs. With more than 409,400 technology workers, the sector accounts for approximately 8.9 percent of the Michigan workforce, which has an estimated direct economic impact of $37.4 billion, or about 7.8 percent of Michigan’s total economy. “Clearly the broad-based impact of the tech industry touches virtually every community, industry, and market across Michigan, especially when you consider the thousands of knowledge workers who rely on technology to do their jobs,” says Todd Thibodeaux, president and CEO of CompTIA. The outlook for future employment growth remains positive. Michigan saw a 33 percent increase in the number of job postings related to emerging technologies, such as the Internet of Things, smart cities, drones, artificial intelligence, virtual and augmented reality, and blockchain. Cyberstates projects the base of tech occupation employment — a subset of net tech employment will grow by 5.6 percent in Michigan by 2026. Retirements will add even more pressure to meet the need for tech talent. The full report, with complete national, state, and metropolitan level data, is available at https://www.cyberstates.org.